Place your bets! 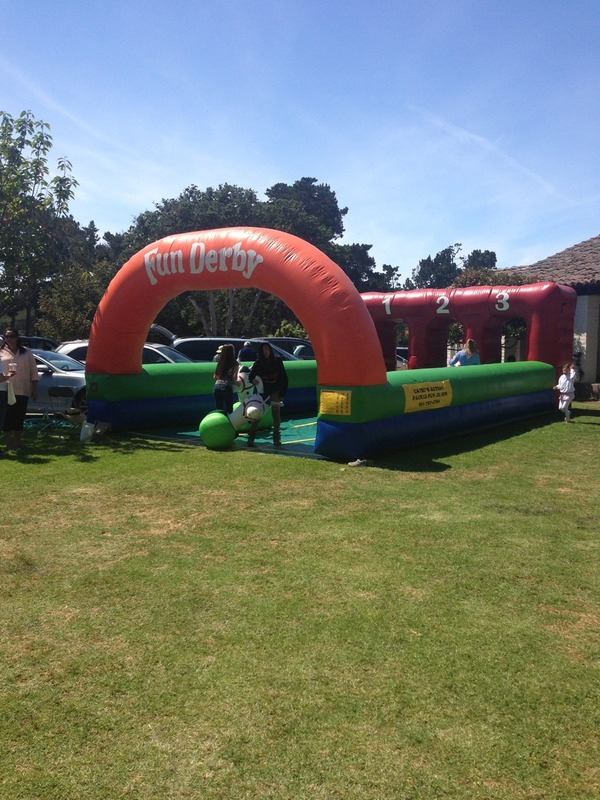 Up to three riders race their inflatable ponies down the final stretch of this inflatable race track. 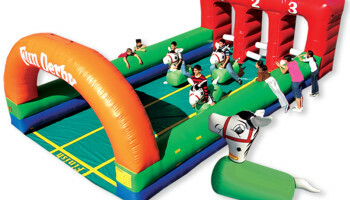 This is a big hit for school parties, western themed events, team building functions. 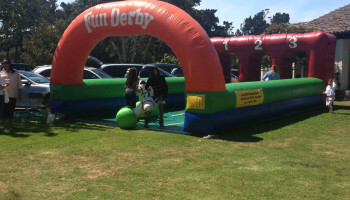 Inflatable Horse Derby Racing game is fun for adults and kids and can be rented with our bull riding machine rental. Three (3) ponies are included. 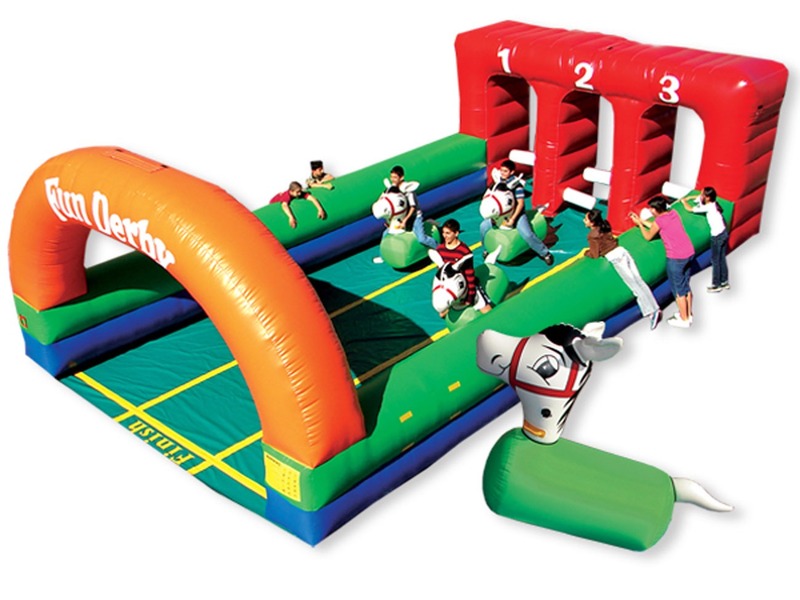 We have two sizes to pick from (adult size large or kid size medium. Just let us know).